Settlements are being reached in more Stryker Rejuvenate hip replacement cases filed in New Jersey state court. More resolutions of these cases are likely to be imminent. The first phase, a group of 10 cases previously selected for early mediation, has resulted in the conclusion of all 10 cases. Additionally, at least two cases from the second phase have resolved. This is a harbinger of broad agreements on the remaining cases, not only for the 950 cases pending in New Jersey state court but also for the cases pending in the MDL class action. What are the Stryker Claims About? Stryker Rejuvenate hip systems were removed from the market less than two years after the design was introduced. While originally designed to last 15 to 20 years, they began to fail immediately. So that was the first problem. The second problem is that the Stryker initially did little to try to cure the problem. What was the complication with this device? Consisting of modular neck-stems with two pieces that fit inside of each other, they were designed to allow the surgeon to customize the length of the femoral component. Traditional hip implants consisted of a single femoral component. So you can see how this was an innovation. Why did it so epically fail? What happened was the rubbing of the neck and stem can releases microscopic metal debris into the body as the chromium-cobalt neck rubs against the titanium femoral stem. 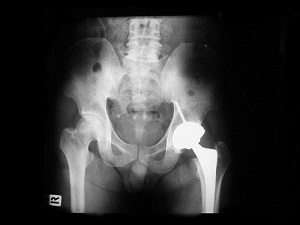 In simpler terms, the debris is caused by the micro motion of the metal joints rubbing in the artificial hip. That’s not a good sign – or, a good product. The most common symptoms reported by people with defective hip replacements are swelling, pain, and loss of mobility. The company has recommended that all Rejuvenate recipients should undergo blood and imaging tests to ensure that their hip stems are functioning properly, even if they have not experienced any symptoms of a failing hip implant. Some doctors think that as many as half of these hips could fail causing painful revision surgery. Are Cases being Scheduled for Trial? All the cases, in both federal and state court, have been consolidated for the purposes of discovery. Those filed in federal court are part of multidistrict litigation (MDL), centralized before U.S. District Judge Donovan Frank, and the state court cases are part of a multicounty litigation (MCL), to be heard before Judge Brian Martinotti. While mediation will continue, so will preparations for the cases to move through litigation, with bellwether trials already being scheduled. Bellwether trials, designed as sort of a test case, allows the parties to see what a jury will do with a garden-variety claim so they can decide where they stand. Judge Martinotti has scheduled two bellwether trials in the state court for next summer, one to begin in June and one in July. Judge Frank has also indicated that three and five trials are expected to be heard in the federal court system next summer. Our Stryker hip Implant lawyers are still investigating potential settlements and lawsuits throughout the United States. Settlements are occurring, and we believe, more are just around the corner. If you have a question about a claim or settlement, call 800-553-8082 or get a free on line consultation here.